As an artist who majored in geology in college, Dunkerley has always been consumed by the aesthetics of intersection between built environments and the natural forces of entropy. 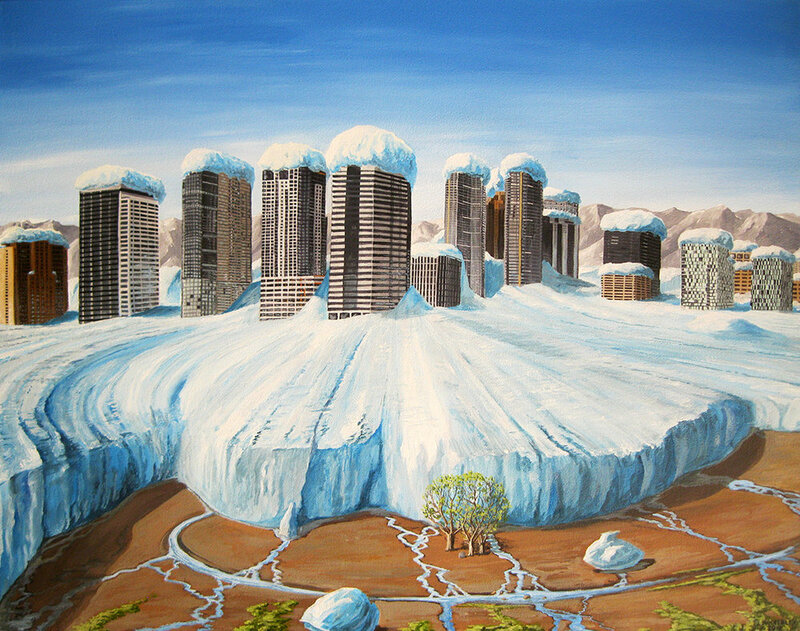 These paintings use the Bellevue skyline as a symbol of our attempt to create local stasis in an inherently unstable system. They can also function as interpretive allegories for Bellevue's emergence as a city on its own terms, after years of being subsumed by its surroundings. 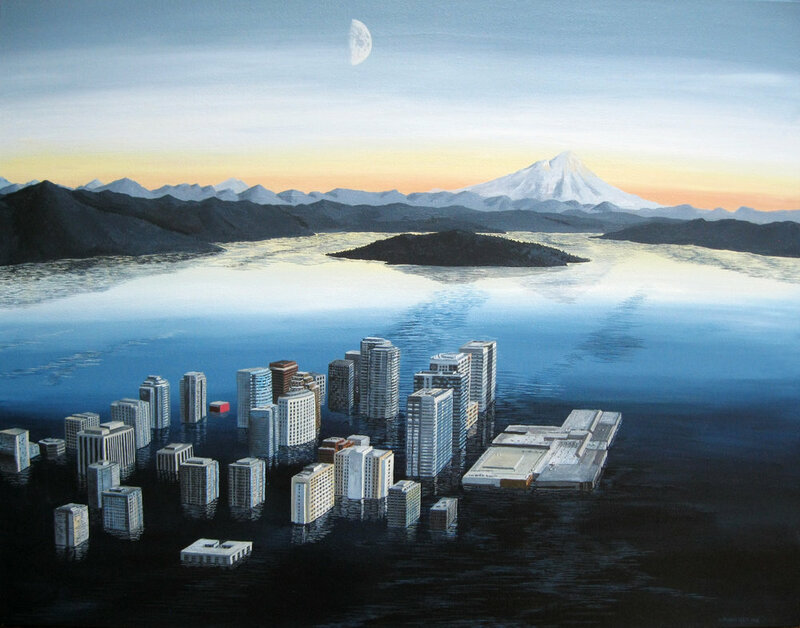 Born and raised in Nashville, Tennessee, Jed Dunkerley has been a resident of the Northwest since 1997 and full-time art teacher at Seattle's Franklin High School since 2004. Courtesy of Linda Hodges Gallery. See Jed's work at the Bellevue Arts Museum.